Down another 1.2 pounds from last Thursday. Yay! I ate so much over the weekend but I made sure to walk a lot and I passed on most dessert-y type stuff so I’m really happy with being down another 1.2 pounds. 2 pounds away from the 160s! 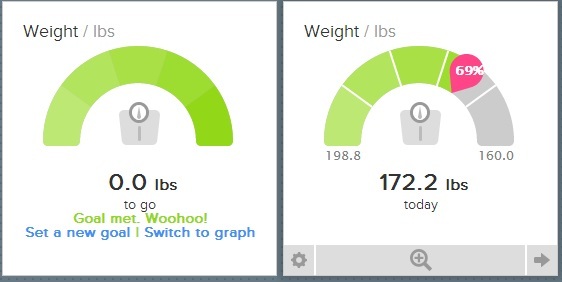 And only 11 pounds to go from my second MASSIVE goal weight: 160. Woot! I can’t remember a time when I weighed that little. 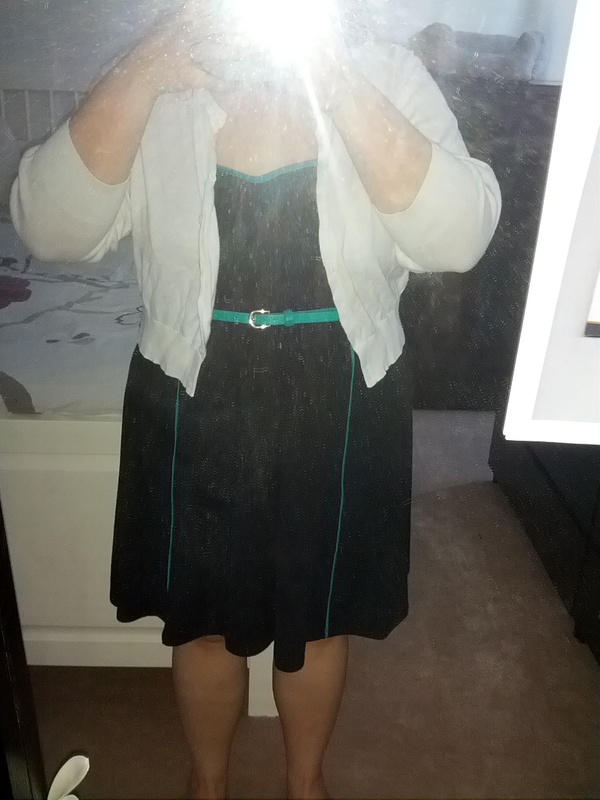 Currently I am wearing a dress I bought last summer that came with a belt. The belt never fit but when I put it on today I managed to not only do up the belt but it’s sitting on the second hole! Yay! Down to 171.0. Probably this weekend will be similar to last, lots of delicious food, lots of walking. Happy Friday! Guess who fits into her GAP jeans that she bought 4 years ago and was never able to wear. It’s me. I do. I need to get them hemmed. When I bought them I just grabbed what I thought was my size off the rack and left. When I got home I was about 30 pounds too fat for them it turned out. 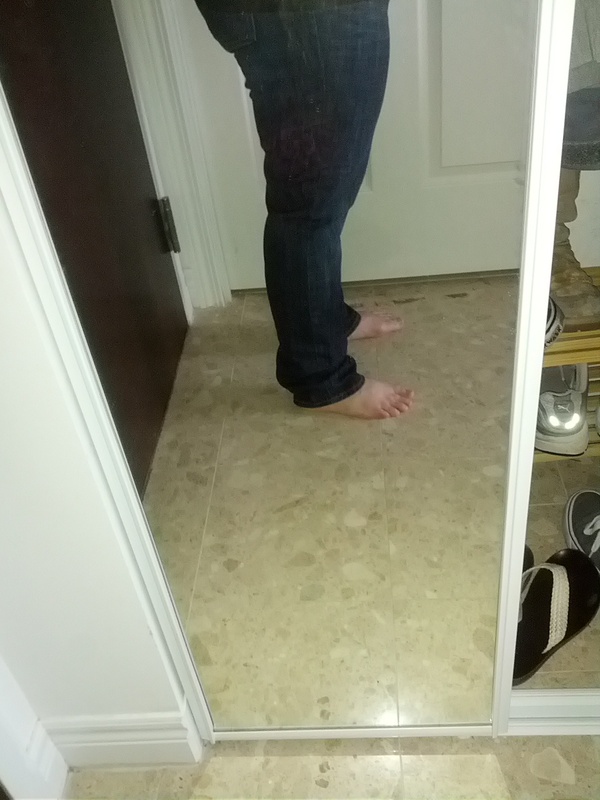 They are a bit tight, but jeans have a way of working themselves out. It’s nice to know I’m doing something even when the scale doesn’t move much week to week anymore. I’m still losing inches as evidenced by my clothes. Last work out day tomorrow. Exciting. I am tired this week. I won’t meet my sub 170 goal by tomorrow but I’ll probably be down another pound so that’ll be OK by me. I knew it was going to slow down eventually. I can’t always be losing 2 pounds a week. 3 1/2 weeks ago I re-re-re-started C25K. I dunno why I always get to the end and then stop doing it, but I do. I’m hoping this time I just stick with it and make running 30 minutes a normal part of my work out week. I started off doing my running segments at 7 and 7.5 kms/h but on Tuesday I dropped it down to 6.5. It felt a lot better. While I don’t mind running at the first speed, I prefer to run at the slower speed. I find I don’t get tired and can run longer. My breathing also doesn’t suffer at 6.5. So I think for the rest of the program I’m just going to stick to that speed. I know it isn’t very fast but I’m going to endurance not speed. I don’t have any plans to enter into the Olympics, after all. Running feels great, better than the elliptical, better than swimming. I feel like I am super fit when I run, even though I’m just doing interval running right now. Whenever I see someone running I’m jealous about it, even if I just did a C25K level. I really like running. I’m going to stick with it. I just need to find a new sports bra. Running always makes me feel like I’m very fit even though I don’t run very fast. Today I did Body Rev 2 times to make up for missing Friday. 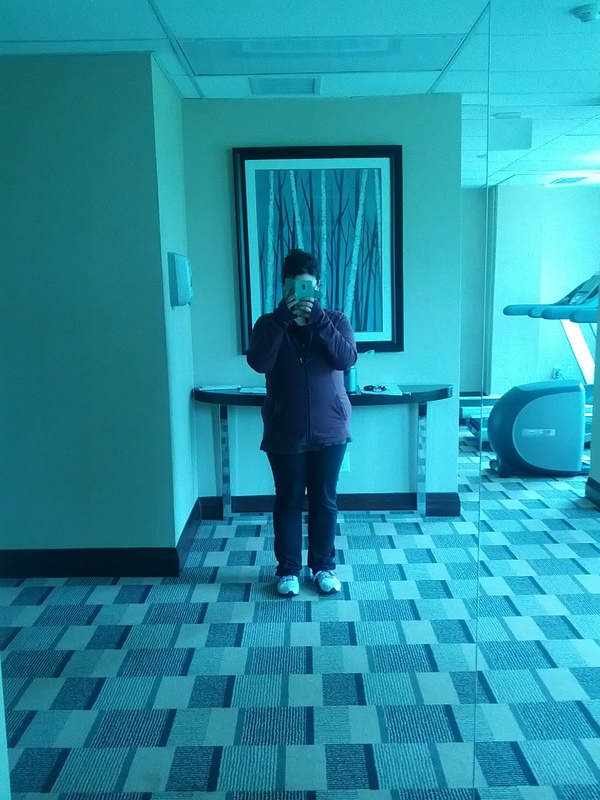 And I did C25K week 4, day 1. I’m really pounding my body. I’d love to see 169 by the end of week 18. I’m done 17 weeks of working out now! That’s impressive. Had a very great weekend. My dad and uncle were so funny. They told me lots of stories about growing up and they never stopped taking us to eat places. The Jays won, we had lots of food, and my stomach hurt from laughing; very good weekend indeed. Onward to week 18! My dad and my uncle are here. We are walking around non stop. Those two can really hustle. And by hustle I mean they walk like they might need walkers. Having a blast, they won’t stop feeding me. I’m keeping it in moderation and saying no to all desserts. Nearly done week 17! My dad and uncle are visiting today and leaving Sunday so I decided to weigh in today instead of tomorrow in case I don’t get a work out in on Friday. Plus it’s been 2 weeks, so might as well. I’m down to 172.2. I’ve passed my goal of 173.0. I’m thrilled. Goal 5 is met. I’ve updated my Fitbit weight goal, it’s now 160. Little steps, right. 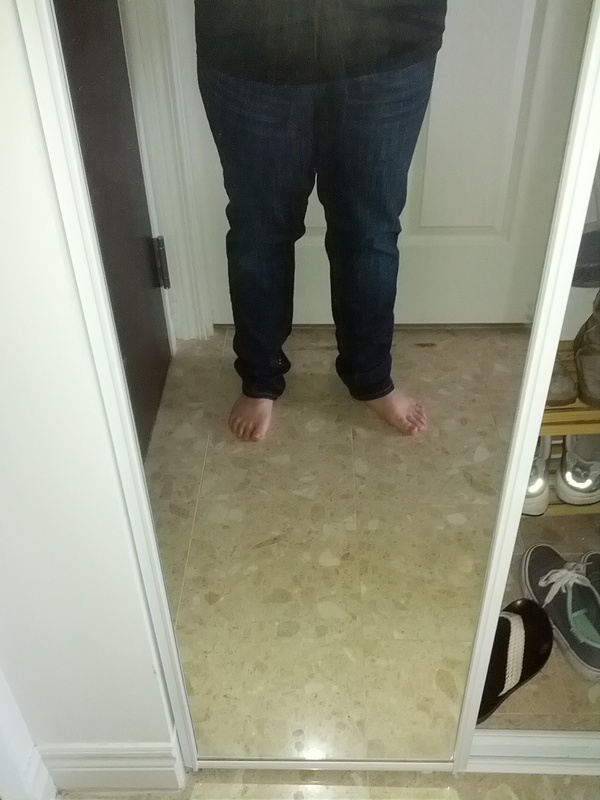 I even tried on the GAP jeans I’ve been carting around for 5 years which never fit. I did them up today. They aren’t a great fit yet but it’s certainly a lot of progress. I figure another 5 pounds and I can wear them properly. 27 pounds gone now. Weird. So, new goals are in order! Very exciting! This morning I weighed myself. And even though weigh in day isn’t technically for another 2 mornings I just have to say, I’m 173.0. I dunno what will happen between now and Friday morning, but for today I am thrilled! I made it to my lowest weight. It has been nearly 2 years since I’ve been this weight. I am so happy! Bring on weigh in day, cause even if all I lose is 1 pound at least I know I’m capable of reaching my current goal. Sometimes when you least expect it encouragement has a way of finding you. 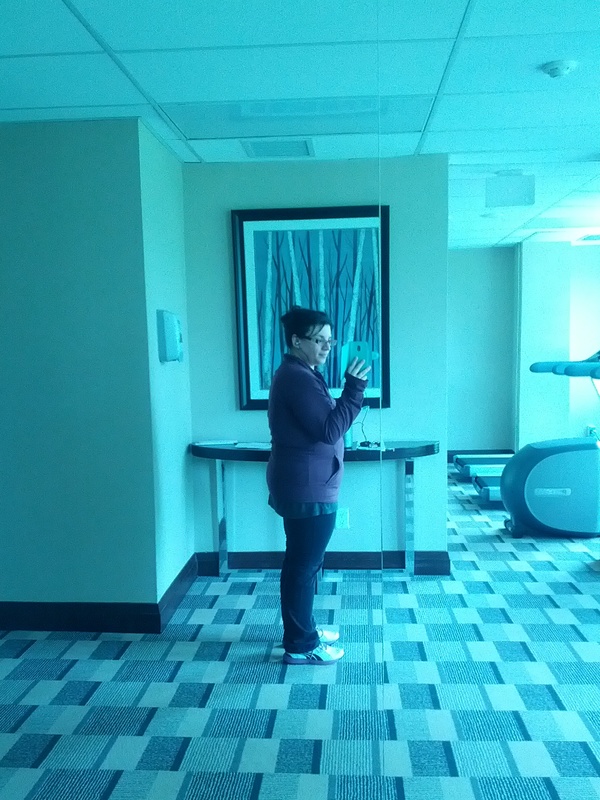 After weighing in last Friday and having no loss I went to do my workout. I was kinda bummed. 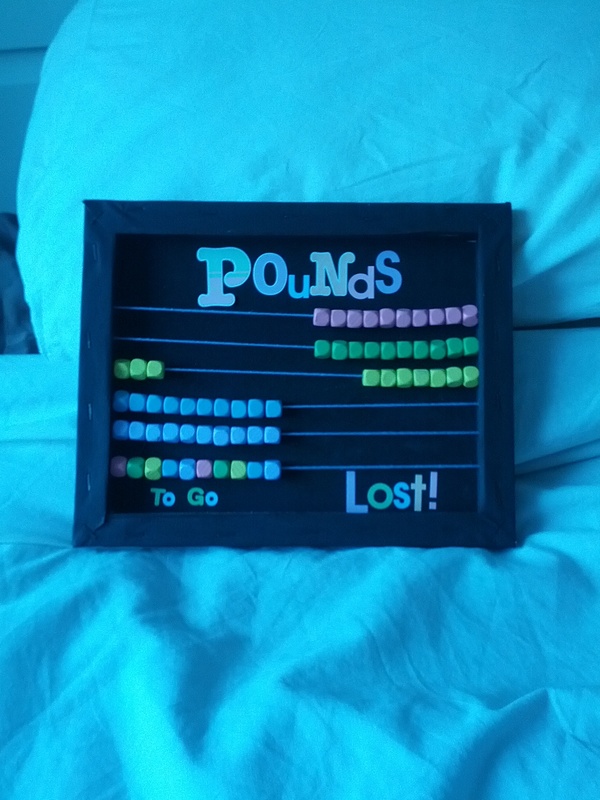 It was the first week I didn’t get to move the beads or change my weight on MFP. 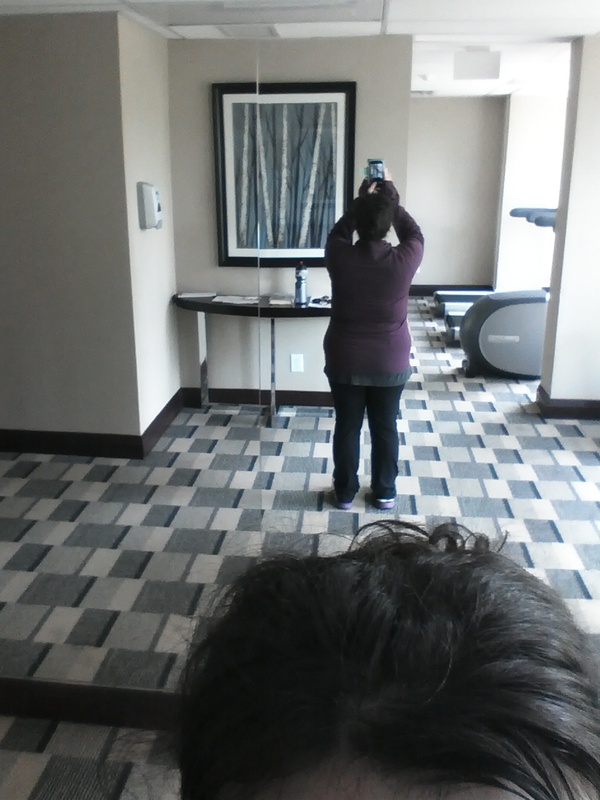 After my workout the cleaning lady, who I see every day while I’m working out, stopped to say that she’s impressed at how hard I am working and she thinks it’s great. Thanks lady! I needed that. If a (basically) stranger is seeing changes in me, maybe I’m doing something pretty good. It was needed. I’ve been feeling like I’m falling off the wagon even though I’m still working out 5 days a week and logging what I eat. I feel like it’s all for nothing. It’s a weird feeling, to keep pursuing something even if you’re not seeing the results. I have to remind myself that even if the scale doesn’t budge from one Friday to the next doesn’t mean I’m not still changing. If the cleaning lady has noticed my efforts maybe I should notice them too. Worked out this AM even though it’s a long weekend and Dave was home. So, go me!